In the latest development, the all new Motorola One Power smartphone will be up for grabs from the very first time in India on Friday 5th October 2018. The sale will be on online shopping giant Flipkart. 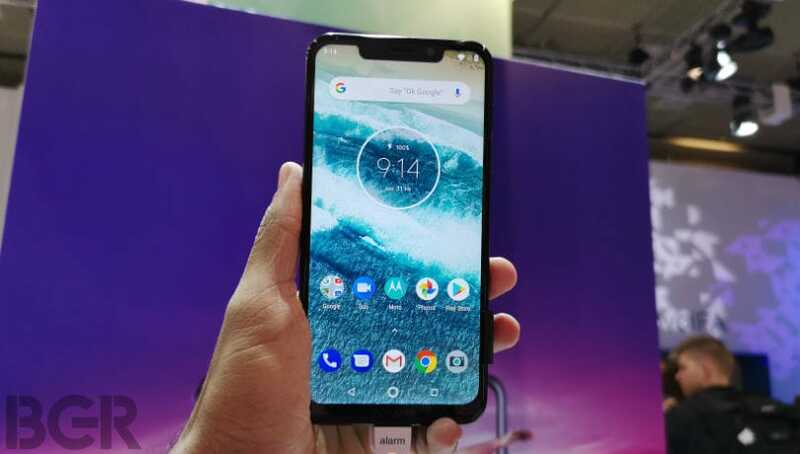 This new smartphone Motorola One Power was got launched in India during the last week. The Lenovo-owned company Motorola eyes to take on popular smartphone makers like Xiaomi and Poco in the country. Motorola One Power is said to be the Google’s Android One programme. The Motorola One Power smartphone has got some series of good features along with specifications. The phone is too got an attractive price tag which is beloved to attract customers to get their hand on this new smartphone. On Flipkart, Motorola will be holding the flash sale for this Motorola One Power Android One smartphone. The new smartphone will be running on Android OS which is Android 8.1 Oreo. The phone is said to get the update for the Android Pie in the coming days. The phone has got a standard fingerprint scanner which is present at the rear side of the phone. The other connectivity options that are present in the phone is Bluetooth 5.0 USB Type-C along with the audio jack. The handset will have a bog battery whose capacity is said to be about 5,000 mAh. It comes with the quick charge by the TurboPower 15W charger that is included in the retail box. The phone will be having a screen size of about 6.2-inch Full HD resolution display. It will be powered by the Qualcomm Snapdragon 636 processor which is clocked at 1.8 GHz along with Adreno 509 GPU. The smartphone will get a 4GB RAM + 64GB internal memory along with the micro-SD card slot for expanding the memory to 256 GB. When we come to the camera department, the new smartphone will have a dual rear camera setup. The camera will be having a 16 MP primary sensor along with the 5MP secondary sensor. The selfie camera of the phone will be getting a 12 MP sensor. The camera that is present on the rear side seems to boasts Google Lens Integration. The Motorola One Power Android One has got a price tag of Rs 18,999. The online shopping giant Flipkart is offering a discount which is instant cash back of Rs 3,000. The phone will be available in black colour only.